Barghouti, the imprisoned Palestinian leader who has been likened to the ‘Palestinian Mandela’, is leading the call for a mass hunger strike by Palestinian prisoners from every party and faction beginning on Monday.Every major Palestinian political party has announced their support for the strike, which marks the largest show of unity from every political party since the 2006 election of Hamas. On Sunday, the Palestinian People’s Party (PPP – formerly the Communist Party), the Palestinian Popular Struggle Front (PPSF) both announced their support of the hunger strike. The PPSF said the hunger strike marks “a turning point in the life of Palestinian prisoners”, and warned of a crackdown by Israeli authorities in response to the unified hunger strike. Already, one strike organizer has been thrown into solitary confinement, with prison officials claiming he was “inciting” other prisoners into joining the strike. 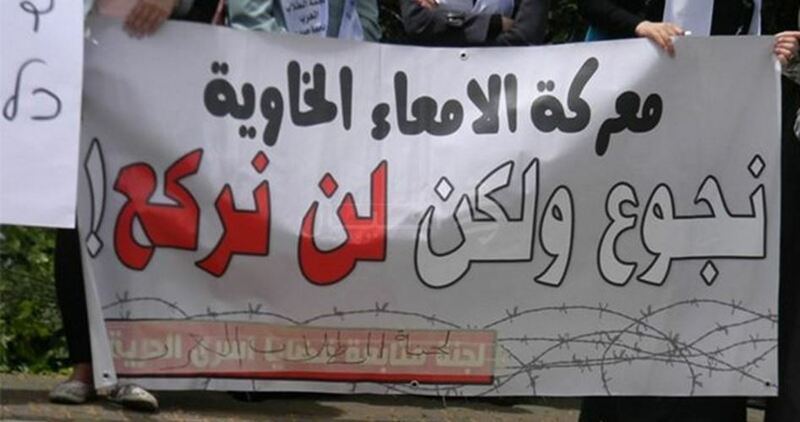 The strike is known as “Freedom and Dignity”, and the prisoners involved have issued a number of demands. 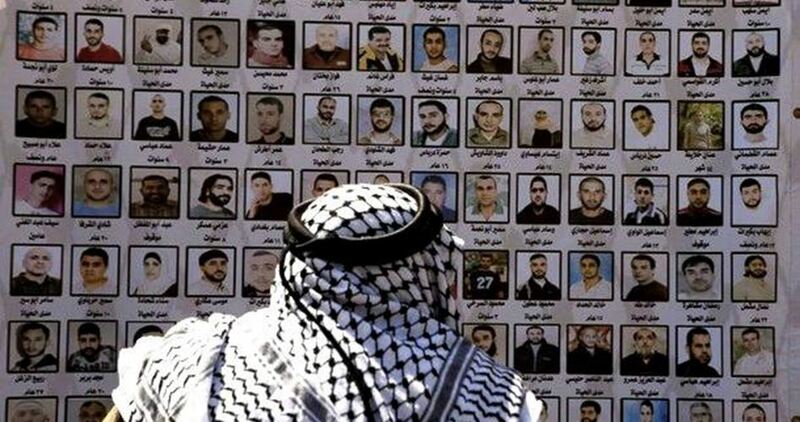 The hunger strike beginning on Palestinian Prisoners Day, April 17, comes just after a report was released documenting that Israeli authorities have detained one million Palestinians since 1948. That report was released Saturday by the Palestinian Committee of Prisoners’ Affairs, the Palestinian Prisoner’s Society (PPS), and the Palestinian Central Bureau of Statistics (PCBS). Israel’s decades-long policy of detaining Palestinians from the occupied West Bank and Gaza, in prisons inside Israel, and depriving them of regular family visits is not only cruel but also a blatant violation of international law, said Amnesty International, ahead of a mass prisoner’s hunger strike which begins next week, to mark Palestinian Prisoner’s Day on 17 April. According to the PNN, Palestinian prisoners preparing to embark on next week’s large scale hunger strike are making a series of demands including calling for an end to Israel’s restrictions on visits and contact with family members. Palestinian detainees held on security grounds are barred from making phone calls to their families. The hunger strike was announced by imprisoned Fateh leader Marwan Barghouthi. A number of other political parties and prisoners have announced they will be joining the strike. According to the Palestinian Prisoner’s Society, there are currently 6,500 Palestinian prisoners, including at least 300 children, detained on security-related grounds in Israeli-run prisons and detention facilities. All but one of the 17 facilities are located inside Israel. The Palestinian Prisoners’ Affairs Commission spokesperson Hasan Abed Rabbo said that at least 1,000 prisoners are prohibited from receiving family visits on “security grounds”. He added that currently there are around 15-20 prisoners held in isolation, who are banned from any contact with other prisoners and family visits. “Ahmed”, a 32-year-old from Hebron currently held in administrative detention in Ketziot prison in the Negev/Naqab desert, whose name has been changed to protect his identity, has only had one family visit, despite spending five and a half years in an Israeli prison, on and off between 2005 and 2017. He told Amnesty International that he was joining the mass hunger strike in the hope that it will pressure the authorities to allow his 70-year-old mother, who has been repeatedly denied a permit, to visit him. He said he had been arrested seven times in total. His administrative detention order is up for renewal on 29 July. “I have had one family visit while in jail. In 2006 my mother and father were able to visit me because my father was sick. He was 75 then, it was the last time I saw him. He died while I was in prison,” he said.“ No one can visit me, my mother is in her seventies and she is denied a permit for security reasons…I don’t know when I will be released or how long I will be in prison for, I want to be able to see my family. 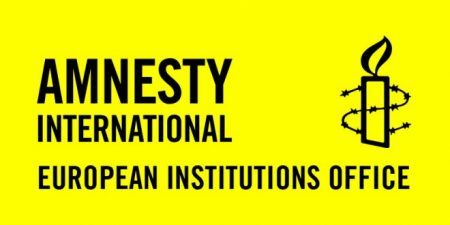 Najat al-Agha, a 67-year-old woman from Khan Younis in the Gaza Strip, told Amnesty International that her son, Dia al-Agha, 43, has been imprisoned in Israel for the past 25 years. At the age of 19, he was sentenced to life in prison after being convicted on murder charges. He is being held in Nafha prison in Mitzpe Ramon in the south. “I don’t know why I get rejected. I am 67 years old. What security threat am I to Israel? All I want is to see him and make sure he is well. I don’t know how long I will live, any visit can be my last. I am scared of dying without seeing him,” his mother said. According to Israeli Prison Service regulations, all prisoners are entitled to family visits once every two weeks. However, in reality, because Palestinians from the Occupied Palestinian Territories must apply for permits to enter Israel, they can visit much less frequently. Since 1969, the International Committee of the Red Cross (ICRC) has been responsible for mediating and facilitating all aspects related to family visits, for prisoners from the West Bank and Gaza, without any logistical or financial assistance by Israel. West Bank and Gaza residents apply though the ICRC to receive permits and rely on them to arrange transportation to the prisons in agreement with the Israeli Prison Service. In July of 2016, the ICRC reduced the number of visits coordinated for prisoners’ families from the West Bank from two, to one a month. An ICRC representative told Amnesty International that the decision was taken in order to better manage ICRC resources, due to low family attendance for visits. The reduction does not affect women, children and hospitalized prisoners and, since then, the ICRC has introduced three additional annual visits for all prisoners, during major holidays. “Reham” (not her real name), a 27-year-old Palestinian woman from Ramallah, whose brother has been imprisoned in Israel for 15 years, was 12 when he was arrested. He is serving a 30-year prison term and is currently held at in Hadarim detention facility. Since October 2016, Reham was denied regular permits on security grounds, she now has to renew her permit following every visit. Her sick mother was only allowed to visit her brother twice in four years before she passed away. He was not permitted to attend the funeral. “The Israeli authorities play with our emotions, they torture us and punish us. They try to break us to tire us, so that we would want to visit our relatives less because of all the humiliation, searches, abuse and insults by soldiers or prison guards,” Reham said. The Israeli security services arrested 400 Palestinians since October 2015 for their social media posts, especially those published on Facebook. 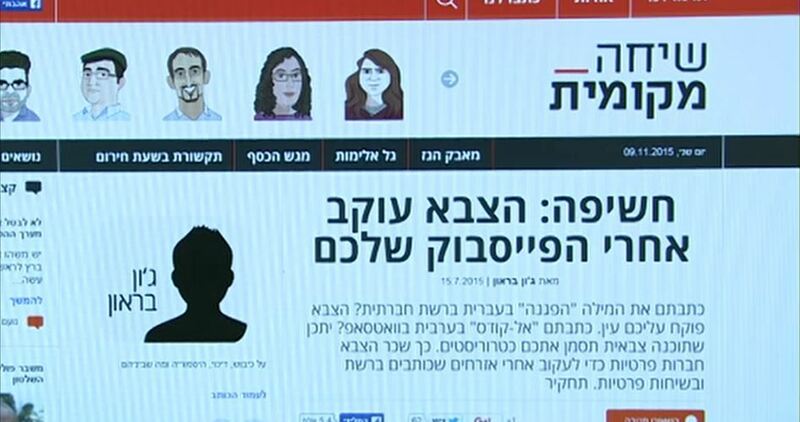 The Israeli newspaper Haaretz said in a report on Sunday that the Israeli security services imposed strict censorship on social media websites to identify those who have intentions to carry out attacks. The Israel Security Agency (Shin Bet) developed, in cooperation with the intelligence services, a data bank based on an automatic sorting of the Palestinian posts and comments on social media. The Israeli security services arrested this number of Palestinians after an in-depth examination and monitoring of the posts of 2,200 Palestinians who were accused of having motives that suggest the possibility of carrying out attacks. The Hebrew website NRG said that the Israeli authorities consider Silwad town, near Ramallah city, as the city which has the largest number of would-be attackers. The website pointed out, quoting a senior Israeli officer whose identity was not disclosed, that the Israeli army and the intelligence services are following up the inciting posts and working to stop the flow of money to Silwad where anti-Israel armed attacks are being allegedly planned and confiscate the equipment allegedly used for manufacturing weapons. Several Palestinians, including students and academics, were arrested by the Israeli occupation forces (IOF) at daybreak Sunday. A PIC news correspondent said Israeli military patrols stormed Nablus and searched dozens of Palestinian homes near An-Najah Campus, before they subjected their inhabitants to intensive questioning. Journalist Ahmed Teim, a resident of Rafidia, said an IOF patrol stormed Palestinian apartments in the area after they smashed all the entrance doors in the hunt for university students. The IOF further ravaged Palestinian commercial shops and seized surveillance cameras. 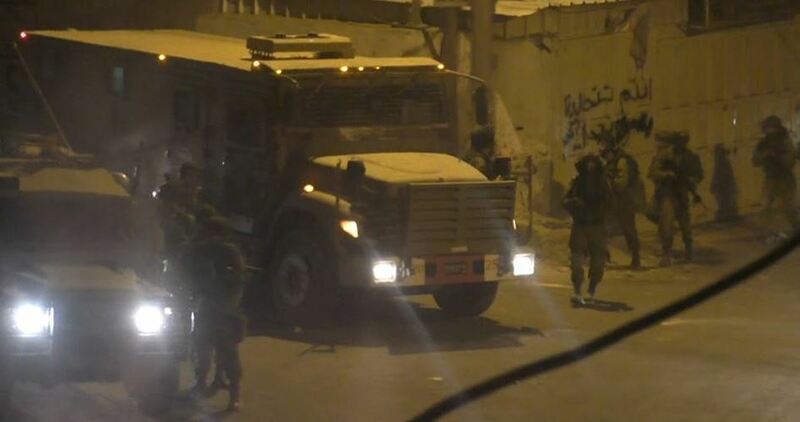 Other Israeli military troops have been spotted near Amman Street and Joseph’s Tomb, east of Nablus. At the same time, the IOF stormed the home of the Palestinian student Ibrahim Abed, enrolled at An-Najah University, in Nablus’s western town of Tel. Lecturer at An-Najah University Dr. Mustafa al-Shanar was rushed to a hospital after Israeli soldiers broke into his family home at the crack of dawn and wreaked havoc on the building, his family told the PIC. Al-Shanar’s son Assem has also been held in Israeli jails. Meanwhile, ex-prisoner Aref Ahmed Salim was kidnapped by the Israeli forces from his home in Azzoun town, east of Qalqilya. The IOF further sealed off the main entrance to the town with a makeshift checkpoint and carried out abrupt combing operations across the area. The campaign culminated in the abduction of the Palestinian citizen Muhtada Dalal, the son of the slain Palestinian protester Ma’zouz Dalal, from his family home in Qalqilya. 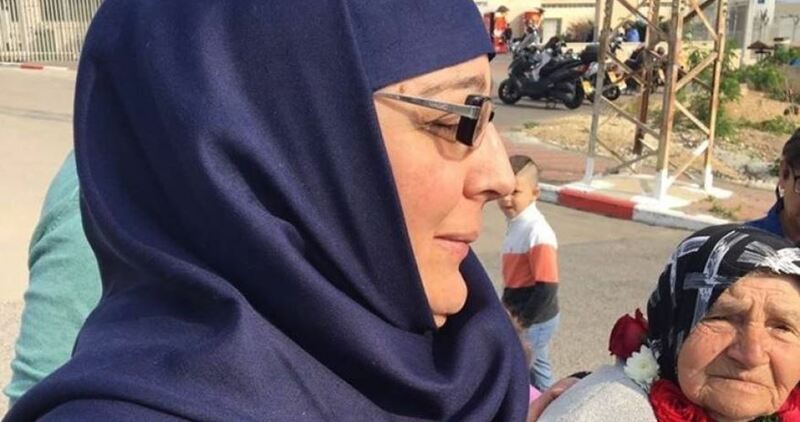 Longest-serving Palestinian female detainee Lina Ahmed al-Jarabouni was released from Israeli jails on Sunday morning after she had served a 15-year-sentence. 43-year-old Lina al-Jarabouni, from Akka (Acre) city, was released from Israeli prisons, where she had been locked up for 15 years. Al-Jarabouni was arrested by the Israeli police on April 18, 2002, and sentenced to 17 years in jail on charges of affiliation with the Islamic Jihad Movement and assisting Palestinian protesters in carrying out anti-occupation operations. 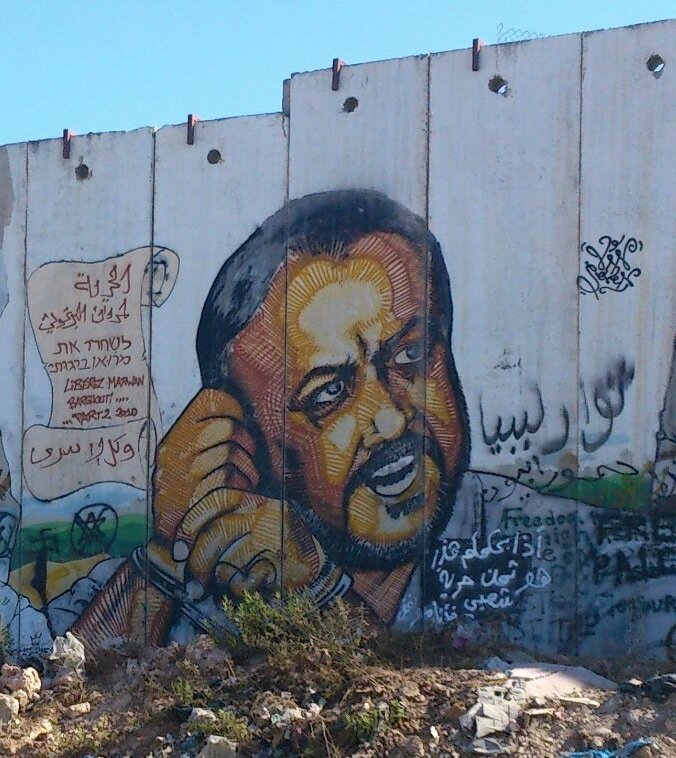 Al-Jarabouni’s health status has taken a turn for the worse in Israeli prisons. She has been diagnosed with severe abdominal infections. Three years earlier she underwent a surgery to remove her gallbladder. In a brief statement after her release, al-Jarabouni said that the prisoners' message to the Palestinian people is "unity" for the sake of those prisoners, adding that they spent long years in harsh imprisonment conditions and are in need of constant support. She hoped that all would participate in solidarity events with the prisoners on their day marked on 17 April. Thousands of Palestinian detainees in Israeli jails are expected to go on a mass hunger strike on Monday in protest at Israel’s infringement of their human rights. A mass hunger strike is to kick off on Monday in Israeli jails to mark the Prisoner’s Day and speak up against the Israeli crackdowns and torture tactics perpetrated against the Palestinian detainees. At the same time, a series of events is slated to be held across the occupied Palestinian territories in support for the prisoners’ demands. Israel has detained, kidnapped and jailed about one million Palestinian citizens since it emerged in 1948 as an occupying power in Palestine, according to Palestinian official estimate. This came in a joint statistical report released recently on the occasion of "the Palestinian Prisoner Day" by the Palestinian Commission for Detainees’ and Ex-Detainees’ Affairs, the Palestinian Prisoner Society, and the Palestinian Central Bureau of Statistics. According to their statistics, there are currently about 6,500 prisoners in Israeli jails, including some 57 women and minor girls, and 300 children. They said that the years of the Palestinians intifadas (uprisings) in 1987 and 2000 were ones of the most difficult times in the history of the Palestinian people, during which tens of thousands of them were exposed to arbitrary mass arrests. During al-Aqsa Intifada, which started on September 28, 2000, official institutions and human rights groups recorded the occurrence of 100,000 arrests against Palestinian citizens. The detainees at the time included nearly 15,000 children under age 18 as well as 1,500 women and 70 lawmakers and ministers. About 27,000 Palestinian internees received administrative detention verdicts, with no indictment or trial, during the 2000 intifada, the report stated. Many of those arbitrary jail orders were issued for the first time against new detainees and the rest were extensions against prisoners already in administrative detention. Currently, the number of administrative detainees in Israeli jails amounts to about 500 Palestinians, including 13 lawmakers.